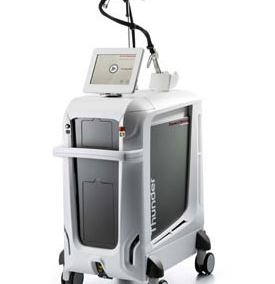 Cutting edge device offering up to two laser wavelengths, 755 nm and 1064 nm, in single or combined emission by the proprietary Mixed Technology. 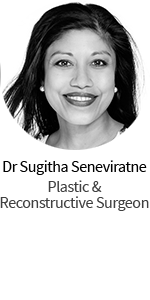 This combination represents right now the new Gold Standard for hair removal, dermatological vascular lesions and skin rejuvenation treatments. With the proven, effective and safe Mixed Technology the overcoming of traditional practices is now a reality. 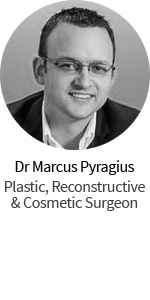 The MIXED TECHNOLOGY performs the largest range of hair removal applications, as well as vascular and rejuvenation treatments. 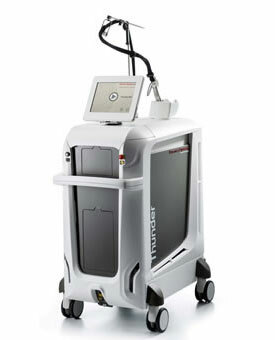 Due to the proprietary Mixed Technology, the THUNDER MT allows the operator to select easily single or double wavelength emissions, using simultaneous or sequential pulses that can be adjusted according to the patient’s needs The SIMULTANEOUS EMISSION has been developed for Permanent Hair Reduction. 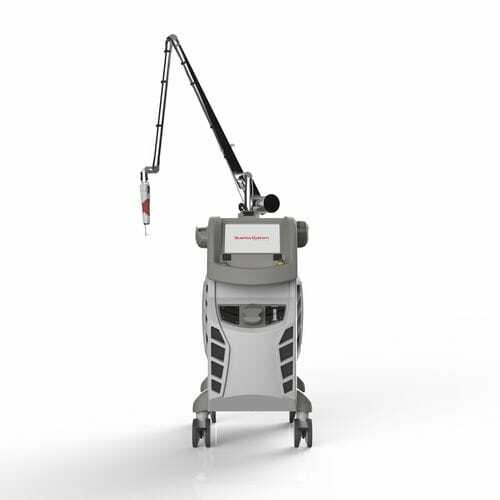 The Mixed Technology combines two different laser wavelengths in a single emission with programmable fluence and pulse duration. 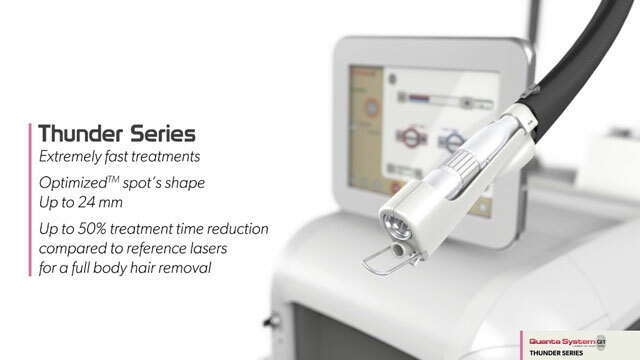 The synergy of the two wavelengths is able to completely denature the hair follicles with improved safety even in dark skin conditions thanks to the reduced fluences requested. 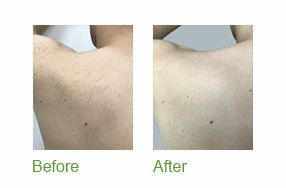 Under these conditions, epidermal temperature results reduced with improved safety and effectiveness. 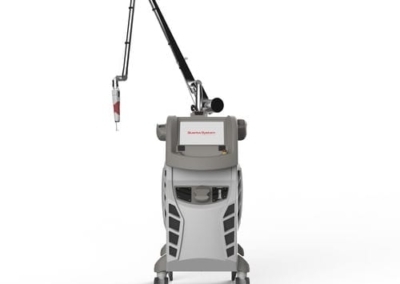 OPTIMIZED SPOT SHAPE – A new spot designed to overcome the limits of the traditional spot shapes related to the overlapping for the safest and most efficient treatments ever. AUTOMOTION TECHNOLOGY – An extremely innovative feature able to guarantee the best effectiveness with the minimal discomfort sensations. 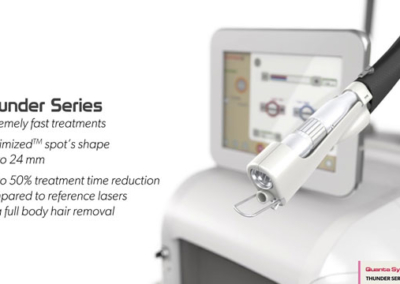 PIONEERING TECHNOLOGY -Advanced device with powerful laser sources, the proprietary Mixed Technology, the incredible speed of the new OptiScan TH and the Optimized spot shape.